Immerse yourself in a floral frenzy of black-and-white ink designs that are patiently waiting for a splash of much-needed color. 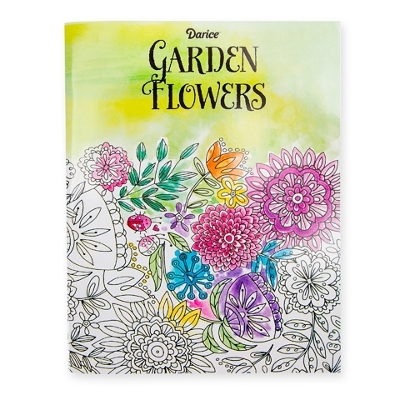 Designed for adults, this Garden Flowers coloring book features 32 pages of intricate designs and shapes that are composed of flowers, greenery, and wildlife. Proving that the crayons and colored pencils aren't only for kids, the last page of this standard-sized coloring book allows you to write notes and test your mediums before diving into the relaxing world of coloring. Fill in the florals with crayons, watercolors, colored pencils, or markers.